Quick, how many automotive segments can you name? How do you even define the segments? Cars, trucks, SUVs, vans? How about sub-divisions between segments (crossovers anyone?). What about sizes within a segment? However you slice it, we are inundated with choices of cars and trucks and everything in between. In a world with such a wide array of options, imagine introducing a model that is something completely new. That is the daunting task facing GM with its Chevrolet Volt electric. They have the multiple tasks of introducing a new model as well as educating consumers about what makes is tick and why they should care. The Volt is GM's latest foray into the electric car market. To the most jaded, it could be called a plug-in hybrid because in addition to electric drive it also is equipped with a gasoline engine. However, to the optimist as well as the marketers at GM, it can be (and likely, should be) viewed as an electric car that doesn't limit you to the range of its battery pack in per-day driving. So, first, the requisite background. What has led GM, a company largely known for their trucks and SUVs, to bring to market this unique take on the electric car? And, what is it that makes this a unique electric and not just another hybrid? The real beginning of the Volt owes a lot to the hire of Bob Lutz by GM in 2001. While Mr. Lutz is known for shepherding development of cars such as the Viper and the big-rig inspired Ram truck (while at Chrysler in the 90's), part of what he did while working at GM was see a perception problem towards GM (especially compared to their closest competitor, Toyota). Looking for a way to flex GM's engineering muscle and give the corporation a product with a similar green halo as Toyota's Prius...he challenged his team to do better than a mere hybrid. Faced with the cost and limited range of a car with only a battery pack (and the long time to recharge) - GM decided to pursue a novel solution championed by then VP of Global Vehicle Development, Jon Lauckner - the range extender. Unlike GM's previous electric, the EV1 (leased in California and Arizona in the late 1990's), the Volt enhanced it's electric power-train with an on-board gasoline powered generator. The drive wheels are powered by electric motors, but once the battery was exhausted, the 'range extender' would start, running a generator that would then provide the electricity. In this way, the Volt concept would be able to run on battery power for most day-to-day driving without the danger of leaving an owner stranded and in need of an hours-long re-charge to get back on the road. This solution acts as a bridge between a future of fast-charge/high-capacity batteries by allowing the Volt to run on pure electricity for the first 40 miles but also allowing trips of practically any distance beyond on gasoline. Need to drive back and forth to work? Battery will likely get the job done. Need to drive to grandma's across a couple states? The Volt has you covered there as well. There is a certain engineering brilliance in the concept - provide electric-only driving for 80% of the world's commuters without the electric having to be a 'third car' in the garage. The other benefit is in allowing a smaller battery pack than any electric that has to provide all-day usability on a single charge (dual benefit due to the high cost of lithium-ion batteries and their long recharge times that only get longer with larger capacity). 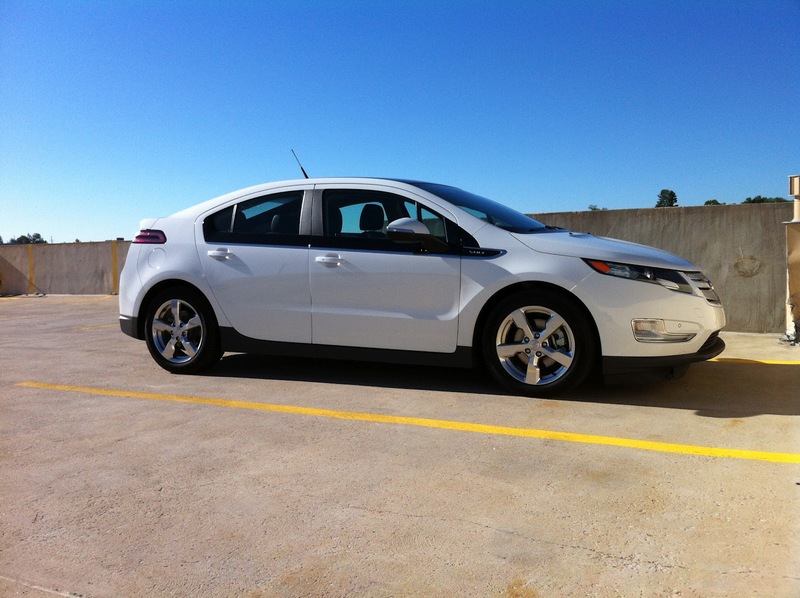 Almost 2 years later, in September 2008, Chevrolet debuted the production version of the Volt. It was obvious from the radical styling change the Chevrolet was caught somewhat flat-footed by the positive response to the original concept. Changes had to be made to the shape of the car to even approach the promised 40 mile electric range (and even then, the best the engineers could do was 35 miles) through improved aerodynamics. Another surprising miss of the production car vs the concept was in MSRP. Where the concept was expected to come in in the upper-20k range (a projection tossed out during the concept's debut by Bob Lutz based on the cost of a comparable compact sedan + $8000 for the advanced battery pack), the production car ended up coming in at $40k, though with a $7500 federal tax credit it is down in the low $30k range. The cost over-run was another victim of efficiency needed by a car that runs everything off of battery capacity - items as varied as the stereo to the wiper motors had to be designed from scratch with an eye toward energy efficiency. 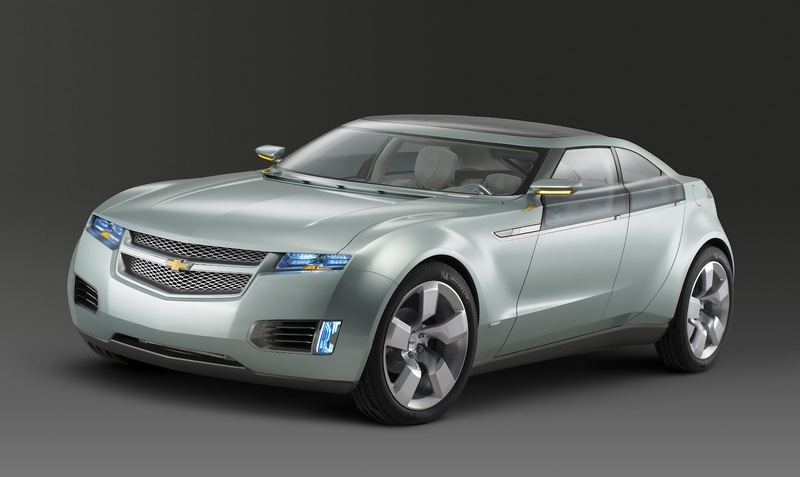 So, does the Volt, a car that missed by marginal amounts the promises made by GM during the concepts debut, still live up to the promise of this unique take on the electric car? Subsequent posts here UOWCars.com will show what we found out. Stay tuned.